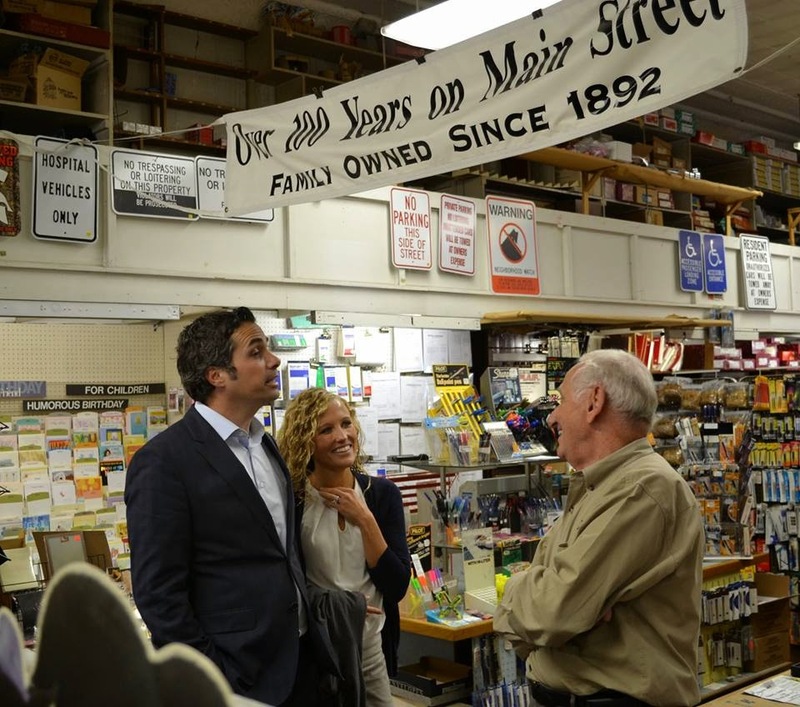 Greg and Sybil Orman take it to the (Main) Street in Kansas. Photo from Greg Orman Facebook page. MAGGOT infestations, rotting carcasses, unidentifiable gunk in the kitchen sink. How much your brain responds to disgusting images could predict whether you are liberal or conservative. How timely, with today's Congressional midterm elections and various state races. In a study titled, Nonpolitical Images Evoke Neural Predictors of Political Ideology published in the 30 Oct. online edition of Current Biology, an international team led by scientists from Virginia Tech has found that the strength of a person’s reaction to repulsive images can forecast their political ideology. 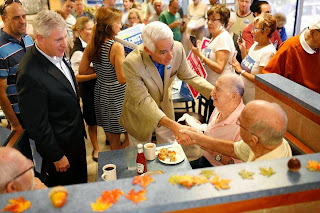 In what is commonly believed to be a tight Senate race in Kansas among Libertarian Randall Batson, Independent Greg Orman and Republican Pat Roberts, this could mean that if one knows the degree of repulsion that potential voters would have to such images, it would be possible to predict with a fair degree of certainly how they will vote and which candidate will emerge the victor. 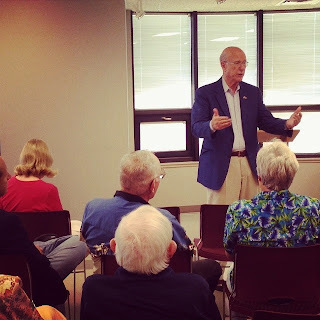 Pat Roberts explaining why he would make a fine Senator from Kansas. 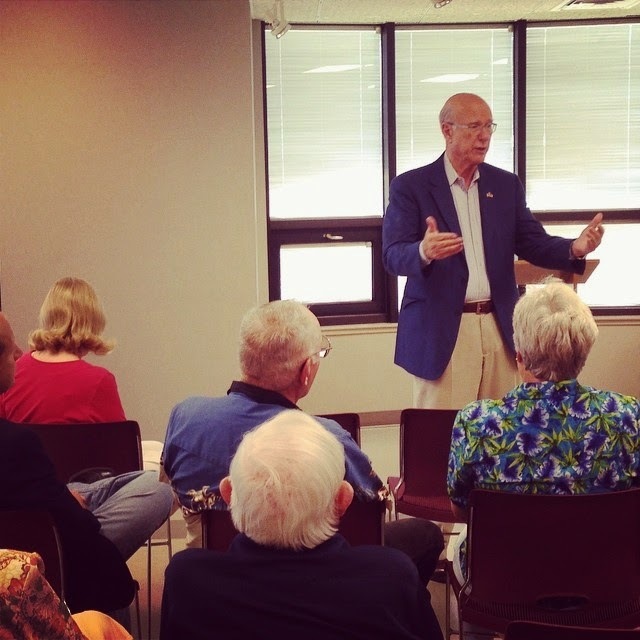 Photo from Pat Roberts Facebook page. Well, who's most grossed out? “We proposed that conservatives, compared to liberals, have greater negativity bias, which includes both disgusting and threatening conditions in our study,” the authors wrote. In a brain scanner, participants were shown disgusting images, such as dirty toilets and mutilated carcasses, mixed with neutral and pleasant images, such as landscapes and babies. 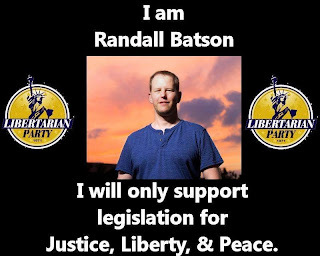 Randall Batson hopes Kansans will respond to his simple message. 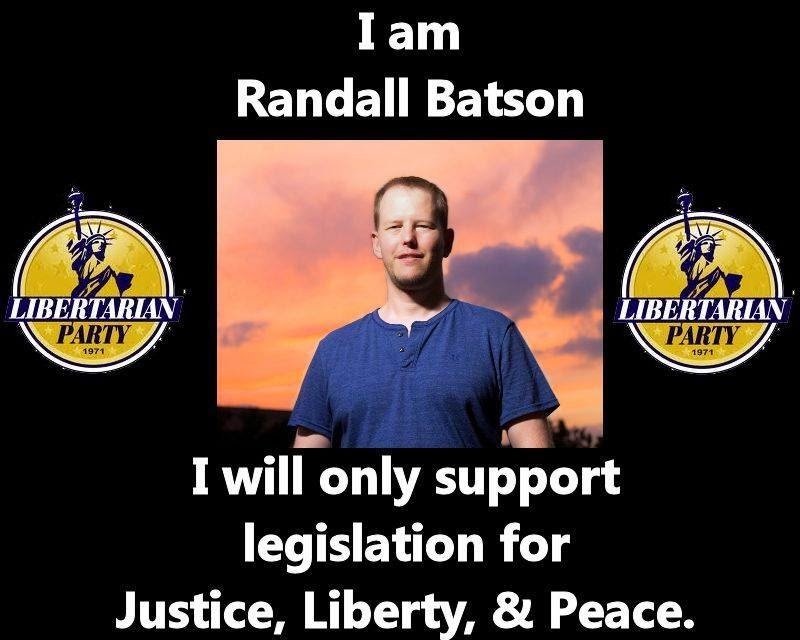 Photo from Randall Batson Facebook page. Using functional magnetic resonance imaging (fMRI), scientists from the research institute, in collaboration with researchers from University College London, Rice University, the University of Nebraska at Lincoln and Yale University – recorded brain activity of the subjects responding to the images. The results suggest political ideologies are mapped onto established neural responses that may have served to protect our ancestors against environmental threats, RM said. Those neural responses could be passed down family lines — it’s likely that disgust reactions are inherited. “We pursued this research because previous work in a twin registry showed that political ideology – literally the degree to which someone is liberal or conservative – was highly heritable, almost as heritable as height,” said RM, who directs the Computational Psychiatry Unit at the research institute. Rick Scott looks like a man getting an endorsement for another term as the governor of Florida. 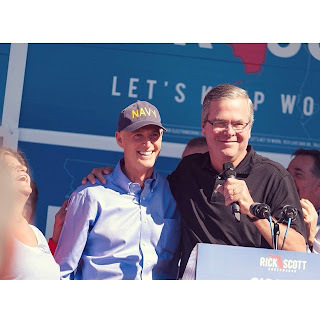 Photo from Rick Scott for Governor Web site. Political scientists have a long history of putting little credence in such findings, a fact not lost on the researchers. “Despite growing evidence from various fields, including genetics, cognitive neuroscience, and psychology, many political scientists remain skeptical of research connecting biological factors with political ideology. Humans are not necessarily hardwired to respond on instinct alone,” RM asserted, using height as an analogy. “Genetics predetermines height – but not fully. Nutrition, sleep, and starvation can all change someone’s ultimate height. But tall people’s children tend to be tall, and that’s a kind of starting point. This is counsel that may have been heeded in the race for the governorship of Florida between leading candidates, Democrat Charlie Crist and Republican incumbent Rick Scott. The takeaway message, then, for Election Day? 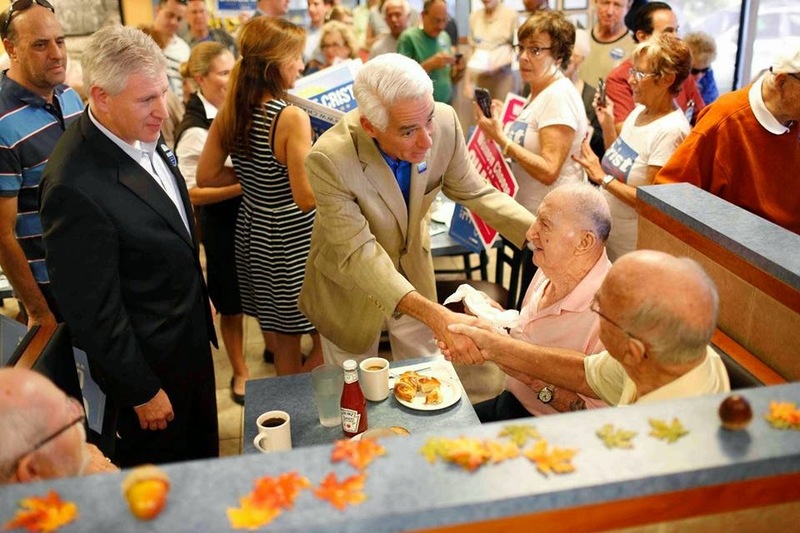 Charlie Crist has pledged to serve the people as governor of Florida. Photo from Charile Crist Facebook page. Ashley Wenners Herron writes for the Virginia Tech news office; Yours Truly contributed to this article. I do hope, however, that your boycott does not include the online lifestyle newszine, VEVLYN'S PEN. We appreciate your patronage. Thank you.